Invitation to our annual pilgrimage for Sri Jagannath Rathayatra in Puri from 23rd to 30th June inclusive. 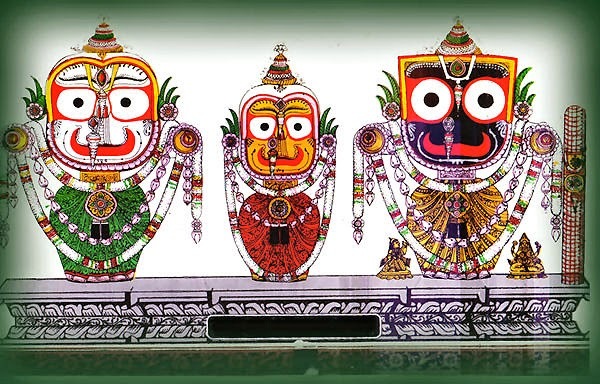 If you wish to participate in this year's Puri Pilgrimage, please let us know soon. In order to help cover costs, the requested donation is Rs2,500 which is inclusive of shared accommodation at our Sevak Bhavan Guesthouse in Puri, Prasadam, and local bus excursions from Puri. The donation does not include travel to/from Puri. Trains can be booked via the Web or from the tourist booking office on arrival in India. If you would like to stay and serve at our Temples in India after the festivals, please contact us. Your service would be much appreciated.